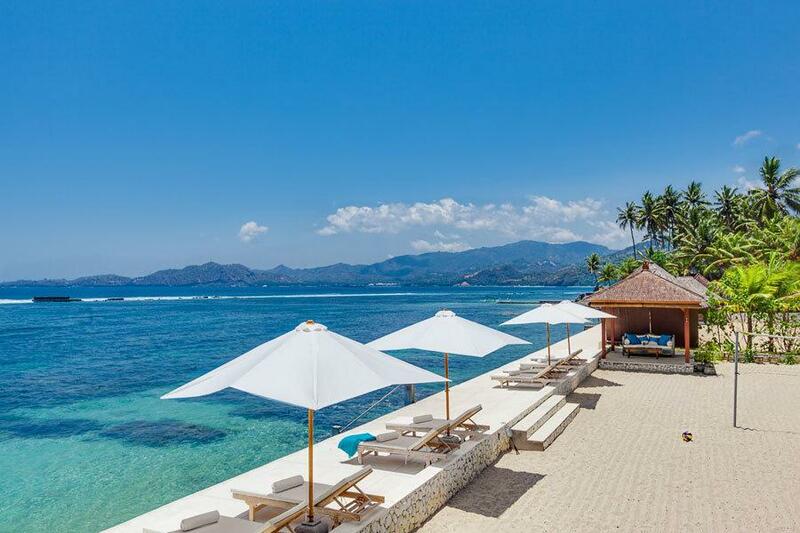 Welcome to Villa 3330, a stunning new Luxury Beach House located right on the water in the Candidasa area of Bali's picturesque and unspoiled East coast. 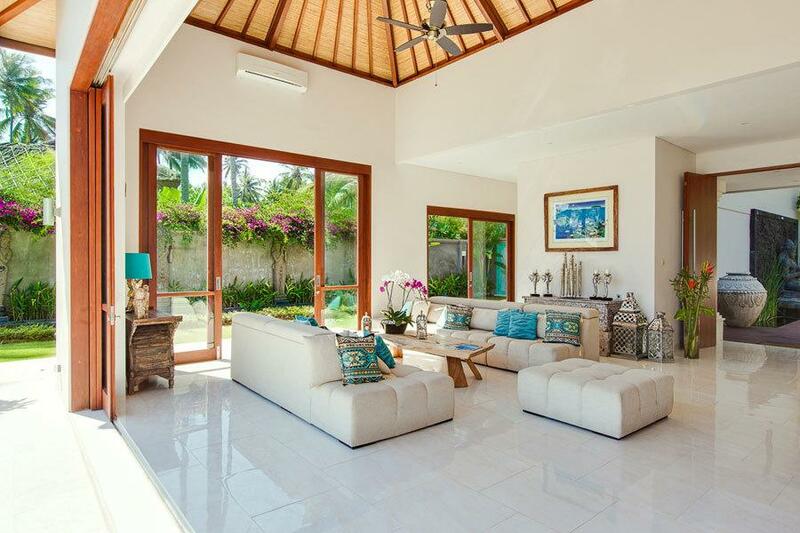 This exclusive four-bedroom villa is far removed from the hustle and bustle of mainstream tourism and offers glorious seaside views of Bali's magnificent coastline and offshore islands. Here you will find a blend of contemporary tropical architecture and island-inspired décor with quality furnishings and fittings throughout. 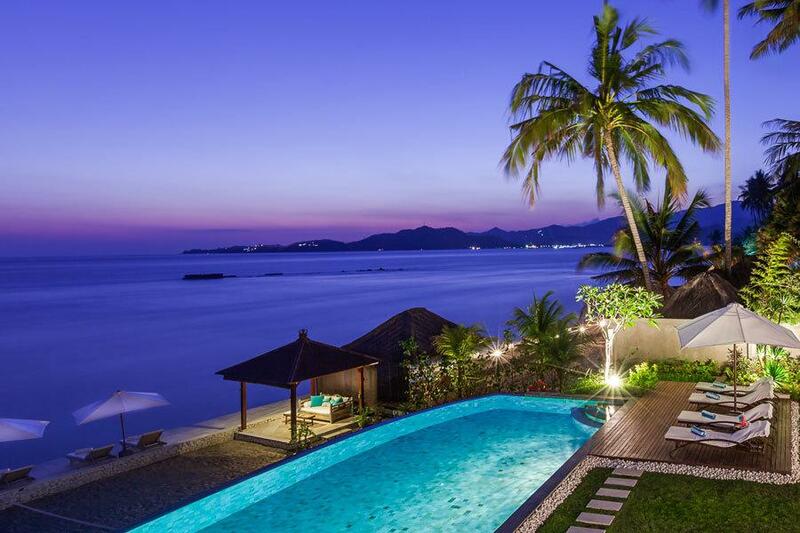 You will enjoy a private swimming pool, your very own elevated beach with direct access to the sea, and beautifully manicured gardens dotted with water features, including grand-scale statues of Buddha and Hindu goddesses. 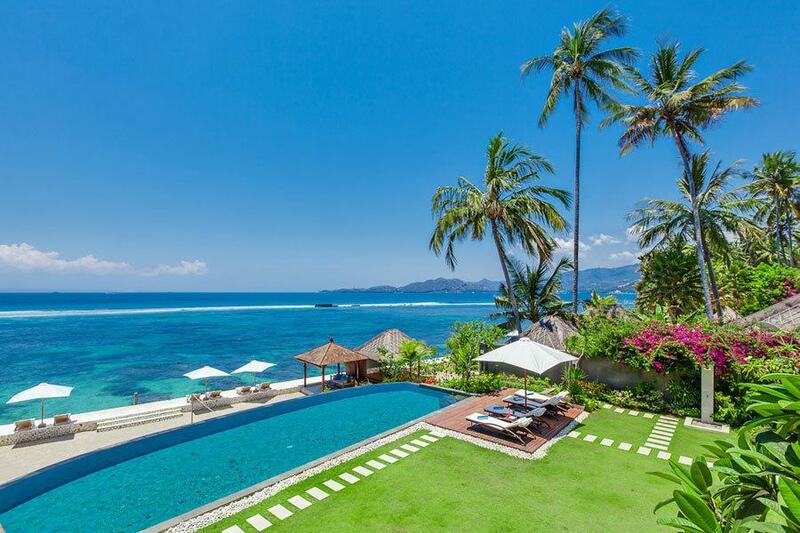 Staffed by a warm and experienced team, Villa 3330 is the perfect place to kick back and revel in five-star luxury in a location that is second to none. 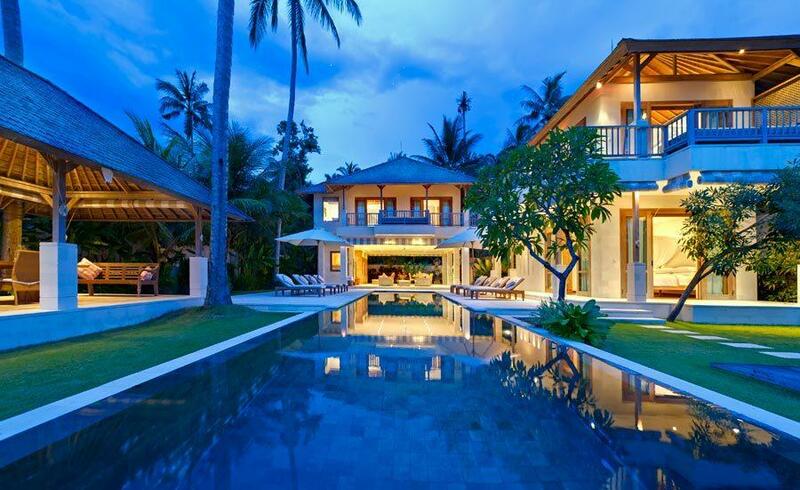 The villa comprises three conjoined pavilions housing four bedrooms over two levels. The main pavilion consists of a spacious open-plan living/dining room, media room, kitchen, and back-of-house staff area including a second kitchen and staff quarters. 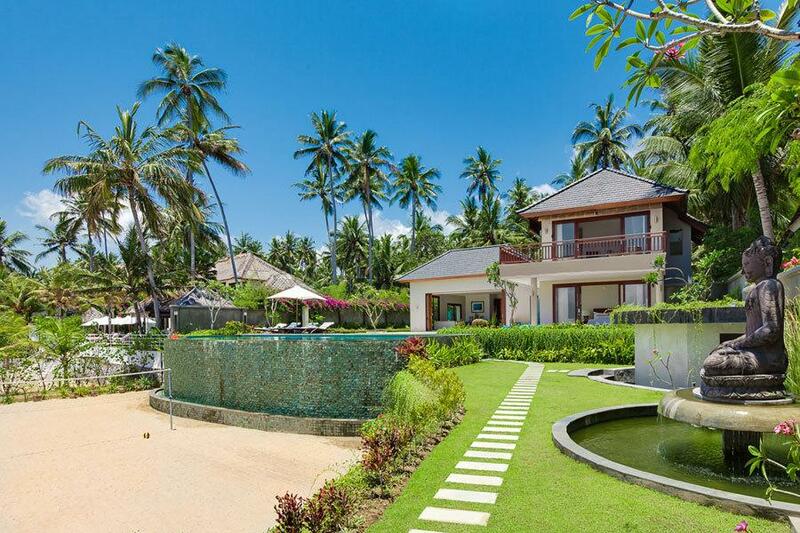 A well-manicured lawn leads from the terrace to gardens, the infinity swimming pool and sun deck, an open air dining pavilion on the water's edge, a man-made beach with a shaded relaxation pavilion, and a sea-front stone terrace with steps leading down into the water. The two master bedrooms are located adjacent to the living room, one on the ground floor and one on the first, with the two remaining bedrooms set to the back of the property. All bedrooms are air-conditioned and have king beds, with walk-in wardrobes, en-suites, and extensive sea views. With traditional high vaulted roofs, and full-length floor-to-ceiling sliding doors, the living & dining room has generous proportions, and the comfort of large soft sofas, a teak dining table with seating for 10, and a fully equipped Western kitchen, making this the centrepiece and social hub of Villa 3330. Leading directly out to the garden and swimming pool, this functional & tastefully decorated interior takes full advantage of the stunning sea views offered. Cooled by ceiling fans, indoor living and dining area can be closed off and fully air-conditioned, or the doors can be slid into the walls for an un-interrupted view, allowing the warm sea breezes inside. The living room leads directly to the 15-meter infinity swimming pool complete with timber pool deck and four sun lounges. 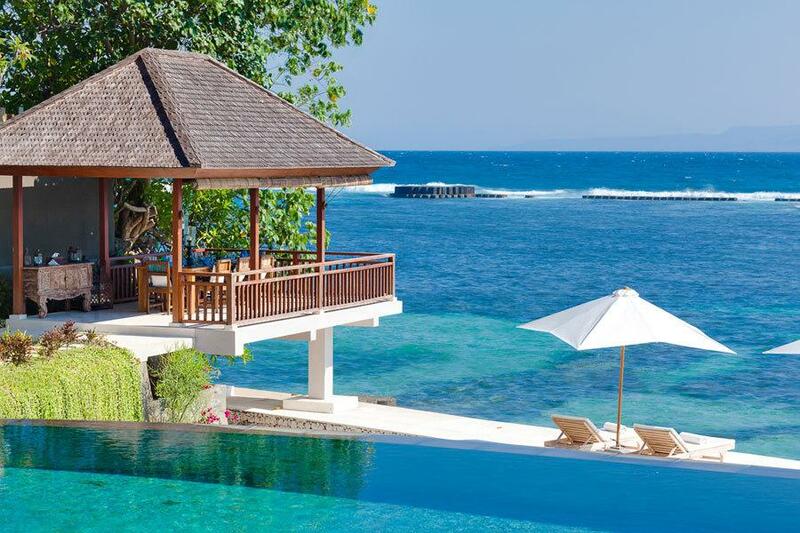 The pool is perched directly above a private man-made beach, with direct access to the sea. 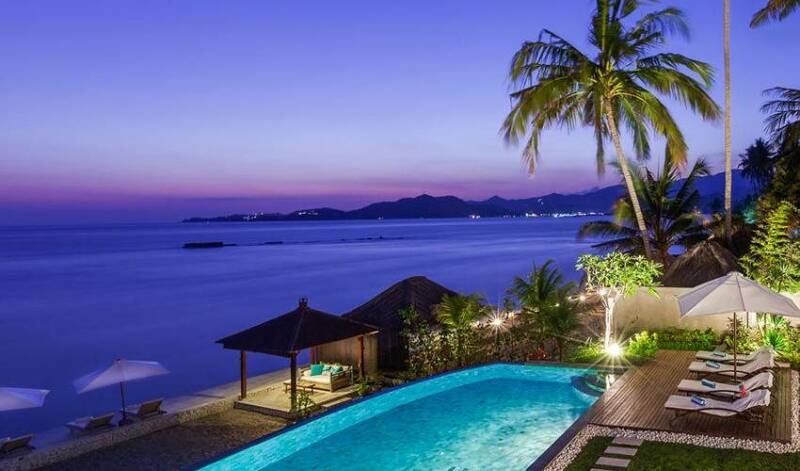 At each end of the beach are two bales, one elevated above the water for outdoor dining and entertaining, and the other located at beach level is a bale bengong relaxation pavilion. Along the entire property sea-front is a beautiful stone terrace with eight sun lounges and umbrellas, which sit above the water offering uninterrupted ocean and coastal views, and with direct stair access into the sea. The four bedrooms are substantially proportioned and well appointed, with king-size beds, en-suite bathrooms, air-conditioning, and walk-in wardrobes. The upstairs master bedroom complete with wrap around balcony, has a luxurious en-suite complete with designer bathtub, and is accessed via private staircase directly from the living and dining area. The downstairs master sits directly below and offers immediate access to the gardens and swimming pool from the large wrap around terraces, and also offers a walk-thru en-suite leading to a private tropical outdoor shower. Bedrooms three and four are set back from the living room in their own private area of the property, with each room having separate access via hallway or stairway. With uninterrupted sea views from the balcony or terrace, these rooms are an area of seclusion and privacy at Villa 3330, with the upstairs room offering both rural and sea views, the downstairs bedroom offers not only sea views but also has a walk-thru en-suite into a private garden courtyard complete with outdoor tropical shower. 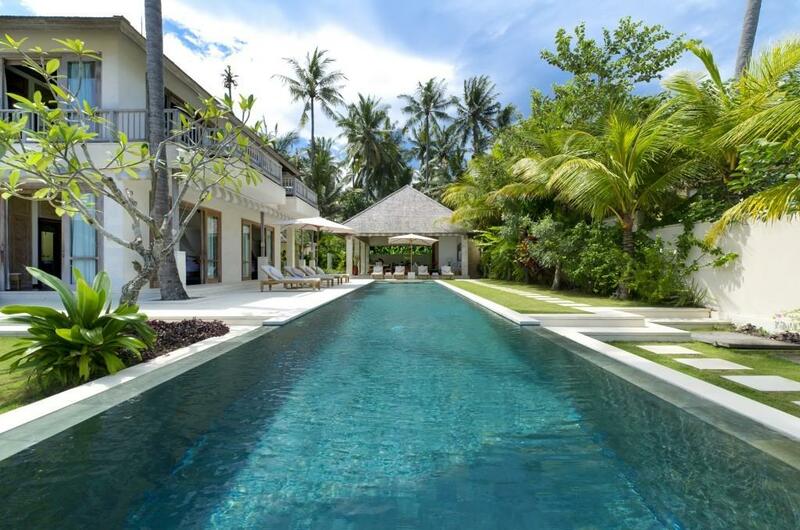 The villa is managed fulltime by Pak Gusti who brings many years of experience in hospitality, including working at the Four Seasons Resort and luxury cruise lines. 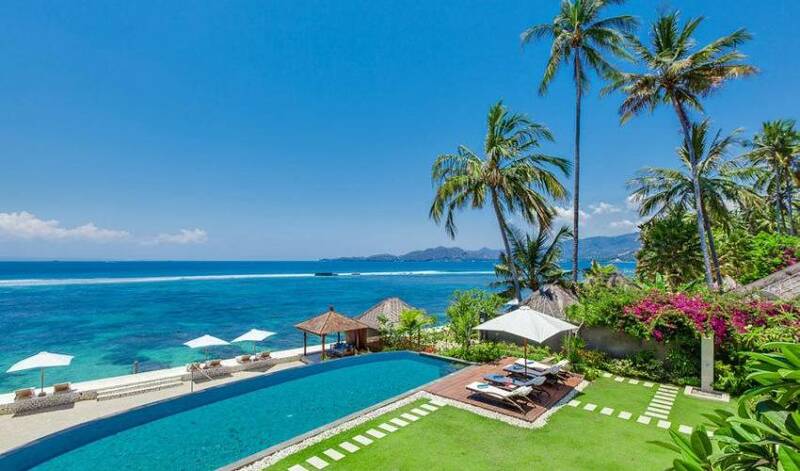 Gusti speaks impeccable English and is a fountain of knowledge about Bali and the local area, and is ably assisted by a comprehensive and experienced team that includes a private butler, professional chef, housemaids, gardener and security staff. 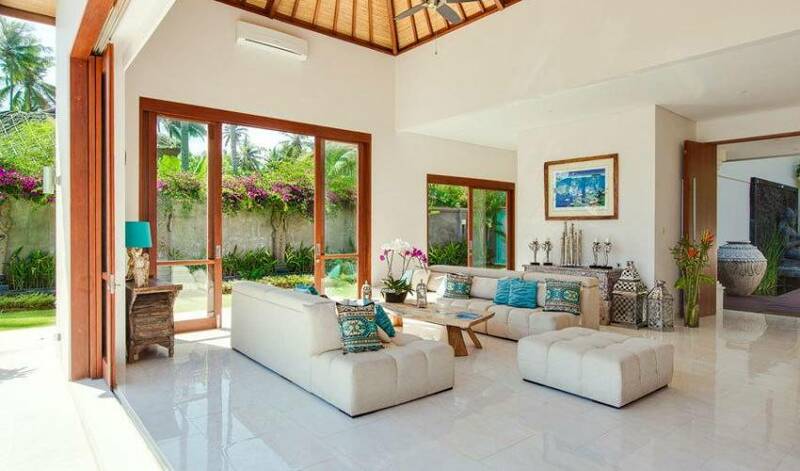 Villa 3330 is located on the outskirts of Candidasa, a tranquil resort town in the East coast of Bali that is a comfortable 1.5-hour drive from the Bali Ngurah Rai International Airport along the newly built highway. 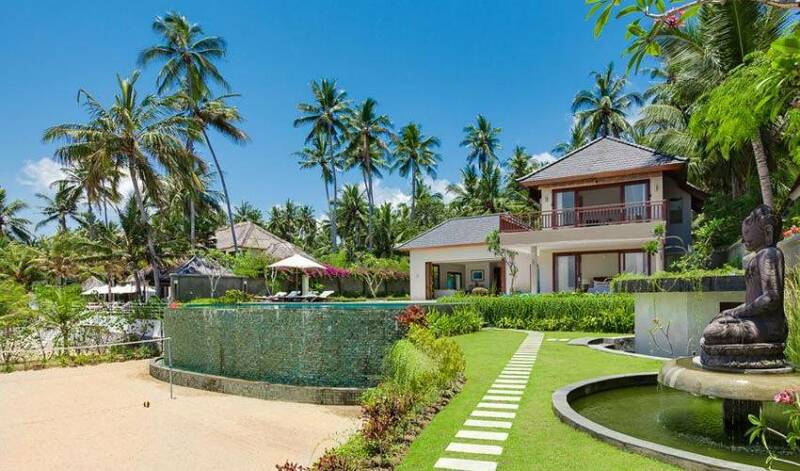 The surrounding area is lush with coconut groves and rice fields enticing discerning guests to a part of Bali, which is often not experienced. There are plenty of things to do and to see while you are in the area. Majestic water palaces of Balinese kings, sacred Hindu temples, scenic mountain valleys, authentic ancient villages and beautiful tropical parks are located just nearby. 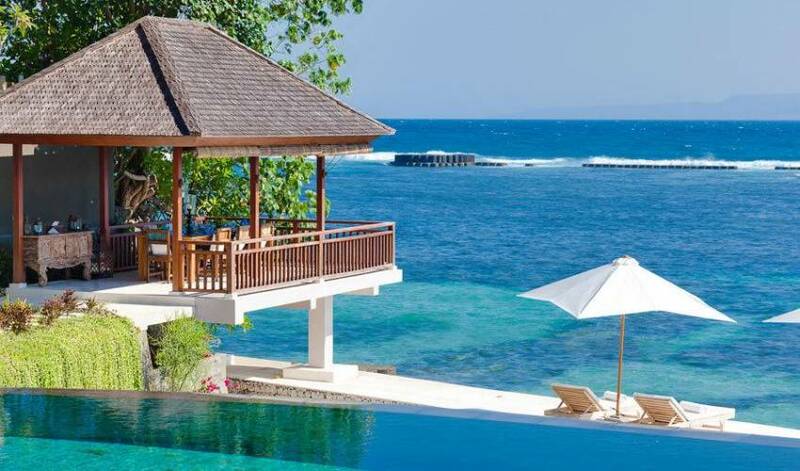 Activities include Balinese cooking classes and visits to traditional market, Bali's best diving and snorkelling on ship wrecks and nearby grass covered sea rocks, rice field trekking, mountain bike riding, mountain climbing, white water rafting, jungle tracking on elephant's back, fishing and much more. 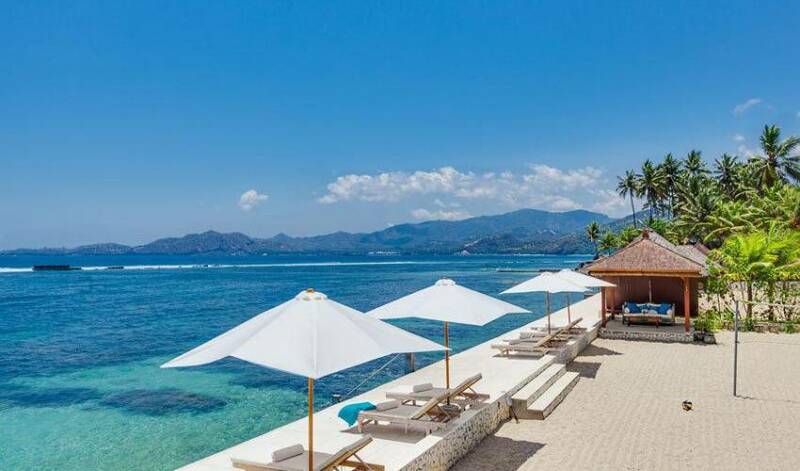 The township of Candidasa is less than 2km away and features a slew of shops, cafes and restaurants for every budget, from the simple locally owned warungs serving cheap and cheerful Indonesian food, to classy upmarket restaurants and bars serving gourmet cuisine.